Make a Fruit Rainbow for St. Patrick’s Day! Saturday is St. Patrick’s Day. 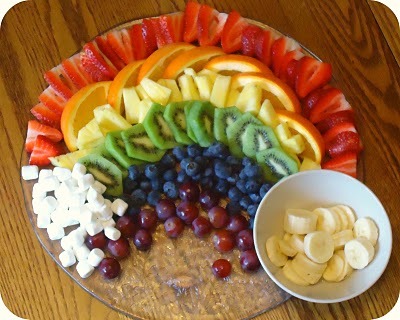 Wouldn’t it be fun to celebrate with a beautiful rainbow shaped fruit salad like this one at Homemade Serenity? My kids would love this!